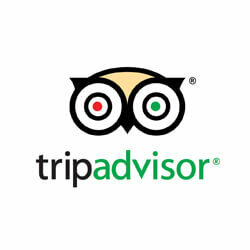 TripAdvisor has 3,000 employees worldwide, turning over $4.5 billion each year in revenue. In the early days, culture played a big part in their success, but rapid growth through acquisition and international expansion led to that culture being fragmented. Employee retention rates and exit interviews showed that pay and perks weren’t enough. They asked us to help fix this by defining their core Purpose and Values. To avoid a top-down exercise and ensure buy-in from the whole company, we designed a co-creation approach. We secured insight and buy-in from the senior executive team, then engaged the entire business, across many different countries, with a group-wide exercise – giving everyone the chance to have their say. The Purpose and Values were successfully launched at the end of 2016, with work now progressing in the LIVE phase. In order to avoid a top-down exercise and ensure buy-in from the whole company, we designed a co-creation approach. We secured insight and buy-in from the senior executive team, then engaged the entire business, across many different countries, with a group-wide exercise – giving everyone the chance to have their say. Big Change is unique. Small in size, but with founders including Sam and Holly Branson and HRH Princess Beatrice, huge in presence. They came to us with two challenges; to articulate a clear proposition, and to create a framework for growth that would keep them true to their original identity. The story was already there, we just needed to unearth and help them agree it. Working with the team, founders and their community, we quickly got a deep understanding of the organisation. 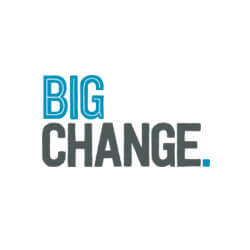 We found the common threads and motivations that differentiate Big Change from others in their sector. From these insights, we helped them define their Values as a tool for decision making and culture, their Purpose to differentiate and guide them, and their Vision for the future. How do you create a brand that represents who you really are? That was the challenge facing BWB, a professional services consultancy and legal practice recognised and respected for pioneering charity law work. With decades of experience and legacy, a community of clients from both the commercial and non-profit sectors, and an expanding range of services encompassing but not limited to law, it seemed impossible to create a brand identity that would say it all. Thankfully, BWB don’t back down at the impossible, and neither do we. We recommended taking a step to identify what binds this multifaceted pioneer of legal talent together. We designed a programme of listening and engagement at all levels of the business to help them to identify two things – what they stand for (Purpose), and the culture that would help them get there (Values). The results defied expectations. We engaged 40% of their people in the poll stage and 100% of partners agreed the Purpose and Values were true and authentic to them – not bad for a group of lawyers trained to scrutinise the details. After the launch of the Purpose & Values, we saw partners’ excitement about the future of BWB double. 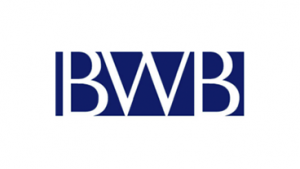 Now that they have a strong foundation to build on, forming the brand identity is the next step and BWB is more than ready to take it. We helped a 100+ year old leading UK heritage charity unite their 700 very diverse staff members behind a new set of values to lead the organisation to a much stronger, more effective future. With shift workers, gardeners and policy staff (to name a few!) all employed by JRF/JRHT, a straight forward email survey wasn’t going to cut it! We worked to reach all corners of the organisation, through some more conventional methods (paper surveys, online surveys) and some less conventional ones (including polling stations and poster voting) to ensure that everyone in the organisation was able to have their say on what they thought JRF/JRHT’s values should be. As a result of our inclusive engagement process, 91% of their people told us they fully understood the values. We also created a set of behaviours to help guide the entire organisation to live the Values in their daily work. Together, the values and behaviours are now articulated at the heart of the business strategy and even the internal review process. Ladder to the Moon have a long history of putting creativity into care, and they’re recognised by the Care Quality Commission for doing so. 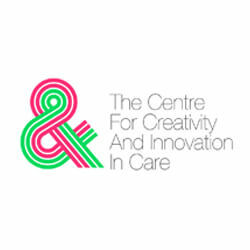 With our help, they wanted to develop a new brand; the Centre for Creativity and Innovation in Care. We worked with Ladder to the Moon to distill their thinking into a clear proposition – their Why, What and How. Working with founders and founder partners, we listened deeply to their views of what the Centre would be, then built this into a framework that clearly differentiates the Centre from Ladder’s core service. With the manifesto in place, we turned the verbal brand into a brief for visual design, and supported the creation of the Centre’s new logo and visual identity. Following our work, the Centre is already winning and delivering work, because it is now crystal clear what it does and why it’s different. With it, they are set to transform the care sector experience for everyone, for the better. 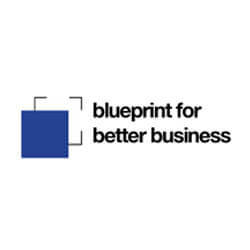 Blueprint for Better Business really share our belief in uniting corporate purpose and personal values to better serve society. Their challenge was how to express this in a short, sharp framework and proposition to the businesses they work and to new partner prospects. We worked with Blueprint to distill a huge amount of complex information and existing thinking into a clear, simple structure. We then challenged it – developing stronger, more concise content. We guided them through our ‘Why What How’ Manifesto model, and finally agreeing a core statement to guide everything they do going forward. Matching Blueprint’s deep knowledge of purpose-driven business to our strategic communications expertise was the perfect partnership – and with our help they’re now in a better position to enable the most influential organisations to serve society through better business. 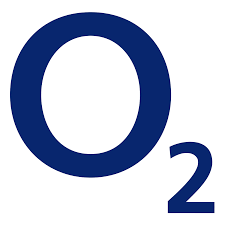 Following a challenging year of mergers and acquisitions and with a new CEO at the helm, O2, wanted to re-energise employees around a core purpose that would make them love their jobs and deliver the best possible service. Through a series of in-depth interviews across the business, we gathered data and co-created a purpose statement with over 60 employees across all corners of the business. When shared with the SLT, 94% were excited by the purpose and 95% felt ready to deliver it within their teams. We then guided O2’s Executive Board to define a powerful identity to inspire employees to unite and build a more successful business in an increasingly challenging market.